Borrowing from a half century of turntable experience, Pioneer offers the PLX-1000 DJ Turntable, a professional-grade turntable that's affordable to the entry- to mid-level record collector, yet robust enough for scratch-heavy DJ sets. With a traditional control layout -- play/pause controls and stroboscopic RPM indicator on the left and speed controls on the right -- old-school DJs will recognize and appreciate the classic feel. Truth be told, the design of the DJ turntable hasn't really changed in the last few decades, you don't fix what ain't broken. Note: The Pioneer PLX-1000 does not include a cartridge. Anyone with a serious addiction to vinyl collecting knows that not all turntables are created equally. Most entry-level USB turntables, while appealing in price, are notorious for their appallingly poor audio quality -- from low-quality digital-to-analog converters to belts that warp, causing your records to play back at the wrong speed. A vinyl enthusiast is not doing themselves any favors by trying to save a few bucks on a turntable. Whether you're a longtime turntablist looking to replace an aging instrument or you're a newcomer to the ongoing music format wars, no audio setup exudes aural superiority quite like your favorite records played on a quality turntable. Designed with a die-cast aluminum platter, die-cast zinc chassis, vibration-dampening materials, and rubberized insulation, everything about the construction of the PLX-1000 says quality. Weighing in at nearly 30 pounds, the PLX-1000 turntable is one piece of electronics which hasn't been value-engineered into obscurity. - Main Unit Weight: 28.88 lbs. - Maximum Dimensions: (W x H x D) 17.83 x 6.25 x 13.89"
- Turntable: Aluminum die-casting diameter: 13.07"
- Arm Height Adjustment Range: 0.23"
The DJ quality Pioneer PLX-1000 direct drive analog turntable is designed for DJs who enjoy the look, feel, and performance of vinyl for music playback. The model offers a highly familiar, user-friendly control layout, high-torque direct drive mechanism, and exceptional audio playback quality. 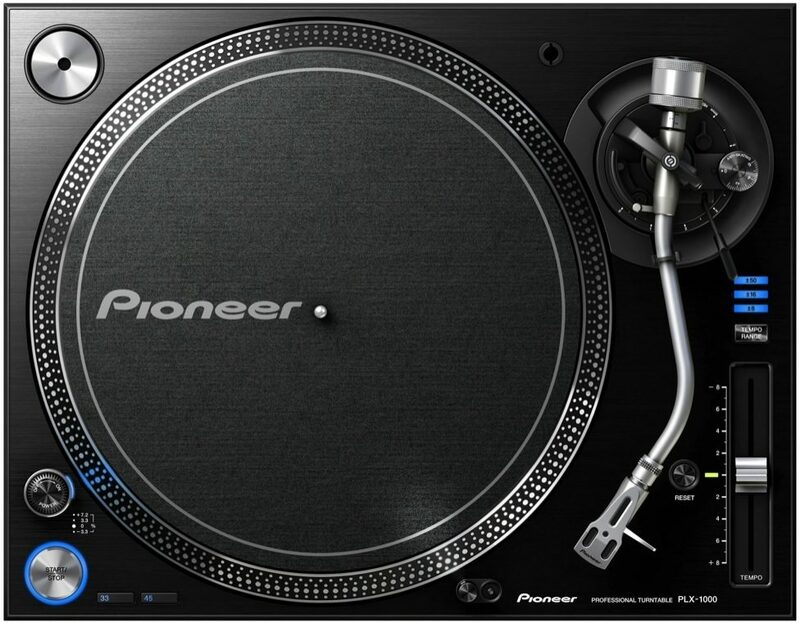 Combine the PLX-1000 with a Pioneer professional series DJM mixer for an ideal system for true vinyl enthusiasts. The PLX-1000 provides a user-friendly layout familiar to top DJs of the past and present, providing quick tempo control capability on the right side of the player, start/stop button on the left side, and a high-torque platter with a lighted speed guide. The player provides a range of tempo adjustments from +/-8% and +/-16% to +/-50%, giving users a range of pitch speeds. A "RESET" button for tempo sits next to the tempo slider for instant +/-0% fixed rotation speed. 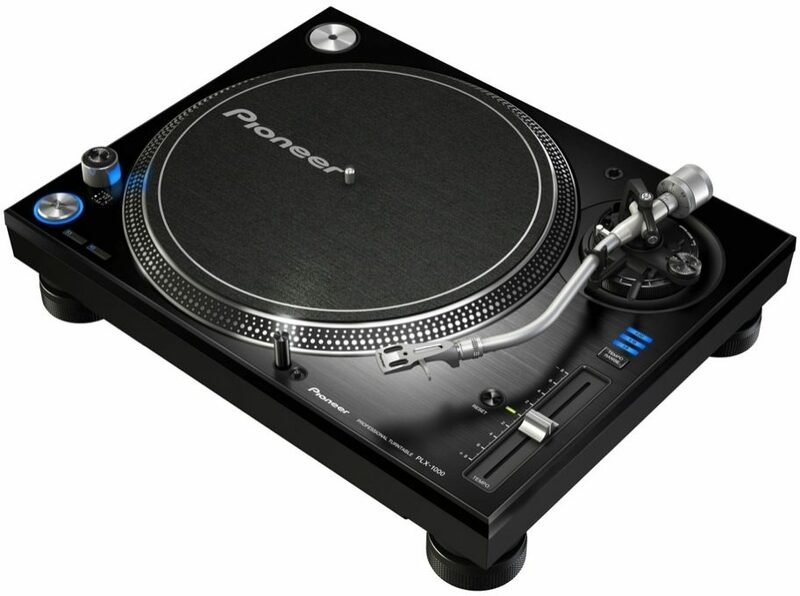 "Pioneer PLX Turntable Is Great!" 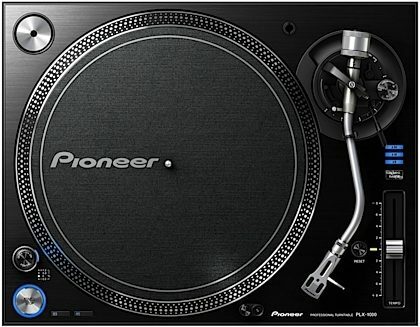 Overall: I love my new Pioneer turntable! It is very stylish, very strong, and the sound is out of this world! This is one of the best turntables I've touched.